Today at Google Cloud Next ’18, Dialogflow is introducing several new beta features to expand conversational capabilities for customer support and contact centers. Let’s take a look at how three of these features can be used with the Google Assistant to improve the customer care experience for your Actions. 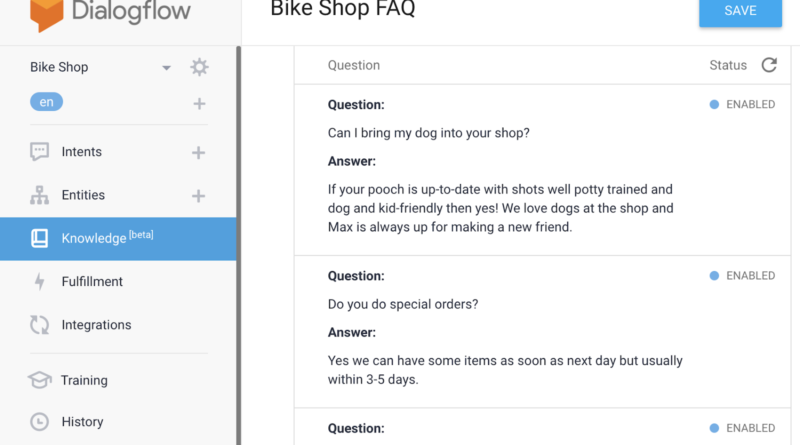 Building conversational Actions for content-heavy use cases, such as FAQ or knowledge base answers, is difficult. Such content is often dense and unstructured, making accurate intent modeling time-consuming and prone to error. 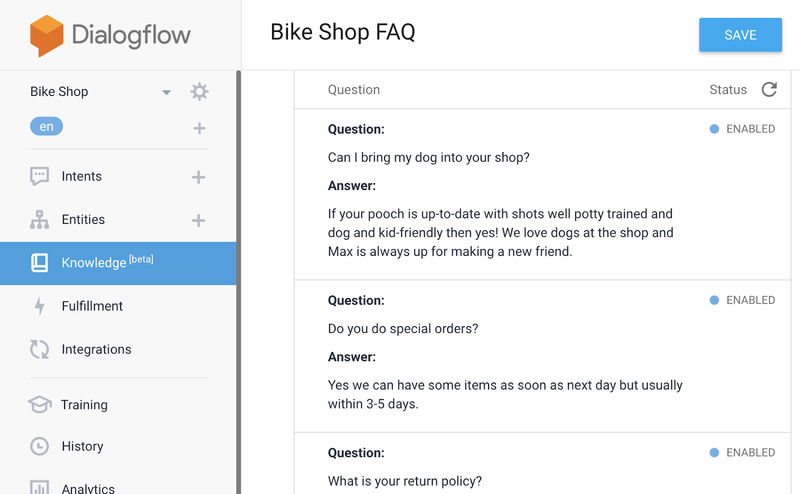 Dialogflow’s Knowledge Connectors feature simplifies the development process by understanding and automatically curating questions and responses from the content you provide. It can add thousands of extracted responses directly to your conversational Action built with Dialogflow, giving you more time for the fun parts – building rich and engaging user experiences. When users interact with the Google Assistant through text, it’s common and natural to make spelling and grammar mistakes. When mistypes occur, Actions may not understand the user’s intent, resulting in a poor followup experience. With Dialogflow’s Automatic Spelling Correction, Actions built with Dialogflow can automatically correct spelling mistakes, which significantly improves intent and entity matching. Automatic Spelling Correction uses similar technology to what’s used in Google Search and other Google products. Your Action can now be used as a virtual phone agent with Dialogflow’s new Phone Gateway integration. Assign a working phone number to your Action built with Dialogflow, and it can start taking calls immediately. Phone Gateway allows you to easily implement virtual agents without needing to stitch together multiple services required for building phone applications. Dialogflow’s Knowledge Connectors, Automatic Spelling Correction, and Phone Gateway are free for Standard Edition agents up to certain limits; for enterprise needs, see here for more options. And if you’re new to developing for the Google Assistant, join our Cloud Next talk this Thursday at 9am – see you on the livestream or in person!